How can success be measured? Are you successful once you earn a certain amount, attain a fancy title, or put down a deposit on a four-bedroom house? If we understand success as an emotional achievement, then it could be argued that the only way to succeed is to be recognized for what you truly love to do. If you are able to turn your rainy-day hobby into a full-time occupation, your self-worth could skyrocket along with your income. Doing what you love every day, whether it be craft brewing or oil painting, is almost guaranteed to make you feel accomplished. Because of the internet, it’s now possible for you to pursue your goals without sacrificing your lifestyle in the process. Take the first step today and discover just how great success feels. According to the U.S. internet technology company comScore, the second quarter of 2013 was the fifteenth consecutive quarter of positive growth within the retail sector of ecommerce. Furthermore, online sales are expected to reach over $210 billion this year, and online retailers are acquiring new customers at an annual rate of about 15%. 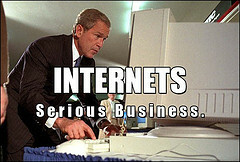 In fact, 75% of small business owners say that the internet has made it easier for them to start a business. Most of these businessmen are average, everyday people who simply recognized the opportunities provided by the net. You don’t need a fancy degree or a reputable relative to make it big in business. Thanks to the internet, all you need is a desirable product, basic marketing skills, and a little help from online resources. Thinking realistically about whether or not your product will sell is the first step to take when pursuing an online business. Start by asking yourself a few simple questions: Who will buy my product and how can I target them specifically? Who are my competitors and how can I make sure my product stands out? How can I adapt my product to keep consumers coming back for more? Once your product has passed this initial screening, it’s time to take it to the online marketplace. Not everyone is lucky enough to understand the intricacies of web-design. Fortunately, websites like Shopify and FoxyCart simplify the process and make it accessible to everyone. Shopify assists users by providing them with everything they need to know about building a completely customized web site, advertising on social media hubs like Facebook, and using SEO-formatting to attract internet traffic. Learn how to sell on Shopify UK and launch your own website within hours. Once your website is up and running, it’s time to make yourself known in online communities. The most successful online businesses connect their websites to blogs and Instagram feeds. Because ecommerce relies on visual stimulation, it is essential that you take the time to photograph your product in an enticing manner. In addition, write about your product wherever you can; on Facebook, on Twitter, even in a mass email to all of your relatives. Obtaining an online following could mean the difference between fading into obscurity, and gaining recognition as a successful entrepreneur. Start your online business today and see what it feels like to finally achieve your goals. I am in the process of starting a new, online business in addition to picking up on my freelancing. I am actually so excited to get to your last step- starting to network it out! Congratulations! It is always importan to promote your business. Networking is just one way to do it. Great thoughts here. I want to pick up on online freelancing and seems like this is truly a new frontier. Looking forward to learning more! The internet has made starting a business and part time work much easier. I’ve had my shopify ecommerce site for a while with limited success. I’m starting to step up the networking as well as adding useful content and I can already see that it’s working to bring more visitors to my site. Hopefully it will turn into a success! I see this as a constant effort because marketing is always important. Doing an ecommerce site seems like a great way to make a little extra money on the side to throw at some debt. I’ve been reading up on this myself lately and plan on giving it a try later this year. And you didn’t mention it, but Pinterest seems to help some of those types of sites (at least from what I’ve read), but it really depends on the niche. Thanks for the reminder to put this on my “to do” list 🙂 Gotta love the low startup cost of doing this! You’re welcome! Online businesses has a very low entry point, but still require a lot of marketing and promotion. Getting started can be the hardest part. Then keeping the momentum going is probably the second hardest. It takes a lot of discipline to run any type of business these days, especially with the amount of competition out there. Very true! The hardest part for me is to promote the business. Word of warning: despite the low entry point of an online business, many are not equipped with knowledge and skills to successfully run a business– be sure you educate yourself on business in general and then online business specifically first. The time commitment is beyond whatever you will expect. Don’t be led astray by the simplicity / ease of start an online business offers. It is still business. Learning the necessary skills is very important and will hold you back if you don’t! The internet offers the current generation a marvelous opportunity for online business that previous generations never had. There’ll still be lots of hard work, of course. But, the medium and barriers of entry are greatly minimized. The ROI potential is astronomical if you are able to work hard, be creative, and, most of all, persistent. It is also a great way to start it part time and build it up. Would you consider your blog an online business? It seems like there are many bloggers who are making a living at it. But it also seems like there are 100x more who simply do it for fun. I’d love to start and online store but have no idea what to sell. Although I earn some money through advertising, I do not consider it a traditional online business. I think an online business sells product/service. I am interested in some kind of online business and time is all I have. However, I am not computer savvy and would need coaching. Like I said. time is all I have. No money to invest in anything. Got any ideas? Start learning by looking at the kinds of businsses you are interested in and ask questions. The investigation stage is totally free!